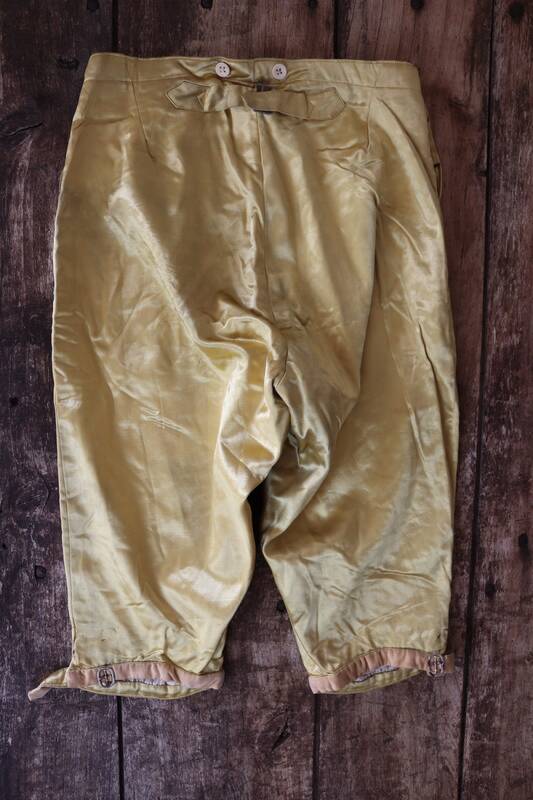 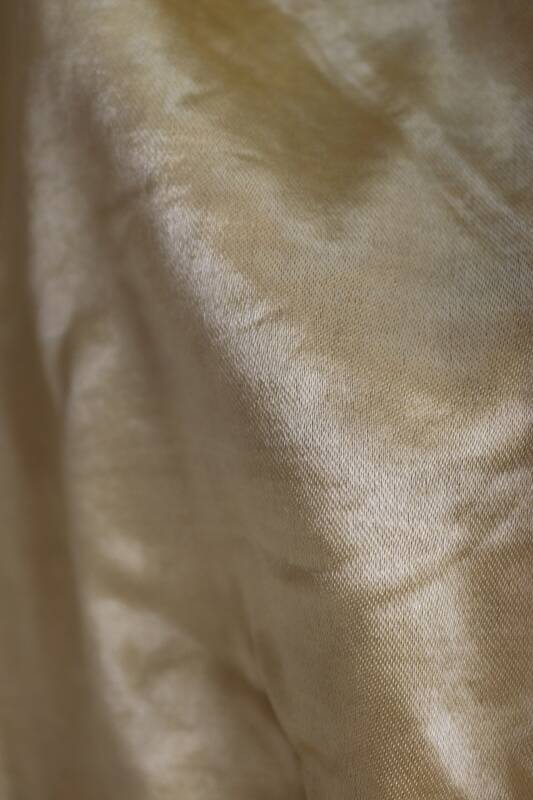 A gorgeous pair of gold satin knickerbockers, made for a 1883 production of Mozart's opera, Cosi Fan Tutte by the Societe Universelle du Theatre. 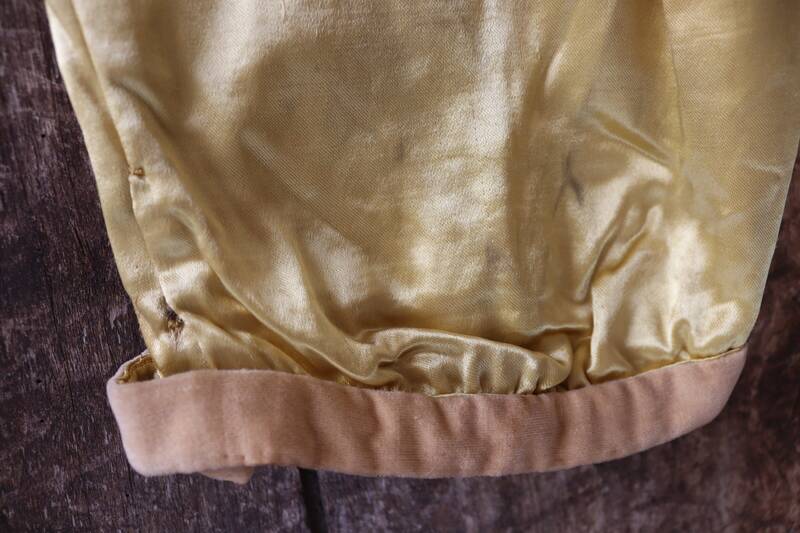 Noted flaws - some light surface marking on the centre front and right leg near the cuff, but generally in excellent condition. 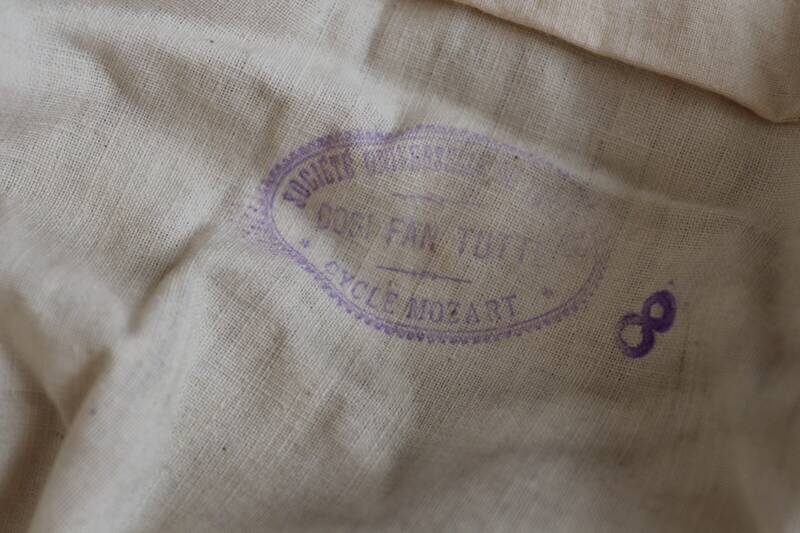 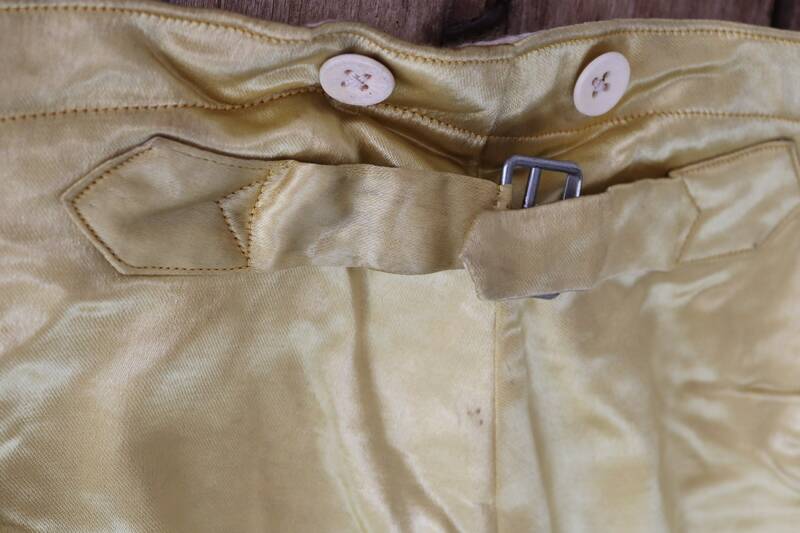 Entirely handmade, soft satin material, stamped with the theatre company name and pencil writing on the cotton lining, grey velvet edging at the cuffs, buckle back, suspender buttons, hook and eye side fastenings, fully lined, a really beautifully made item with some great history. 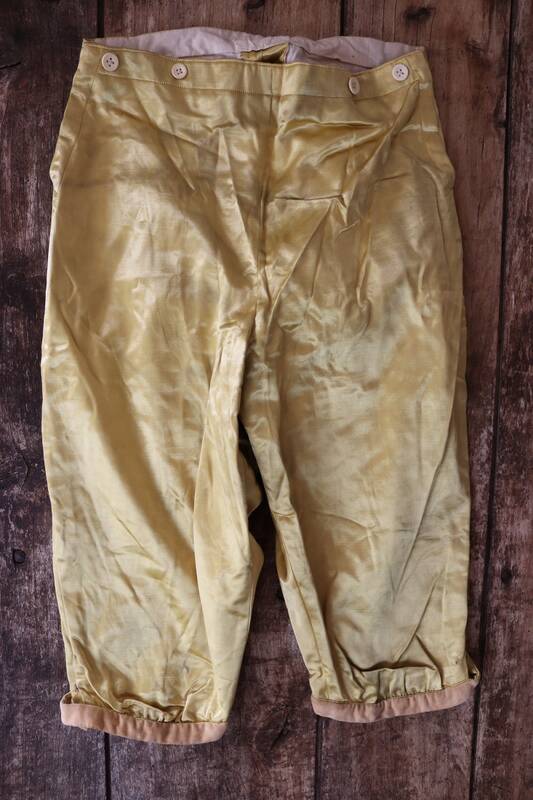 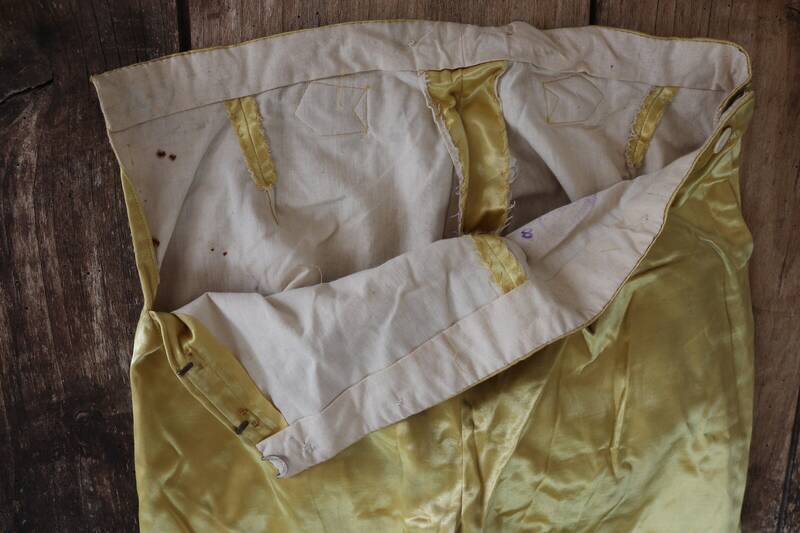 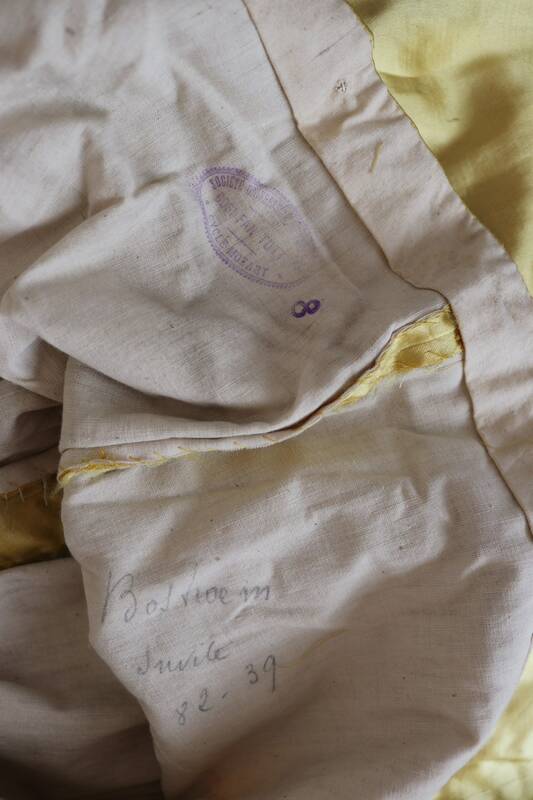 These were probably only worn a handful of times, and then stored away - it would be entirely possible to wear these 136 year old breeches today! 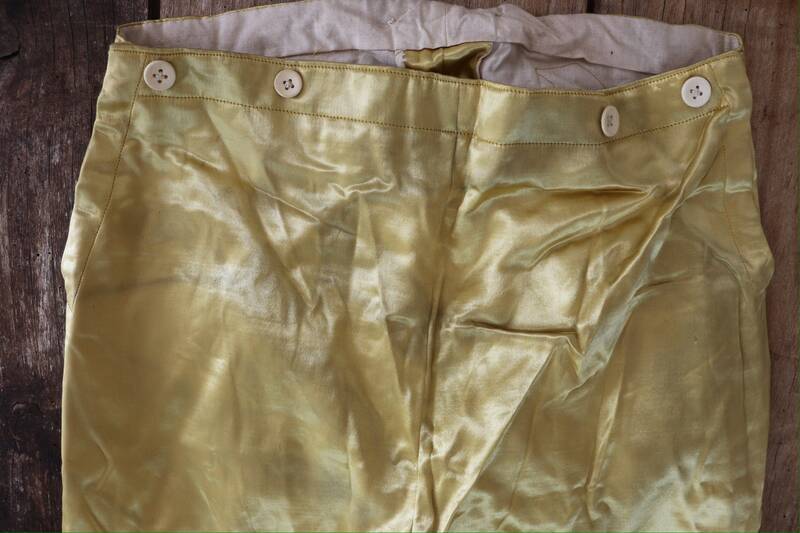 I wear a women's UK size 10/12 and they fit me slightly tight at the waist. 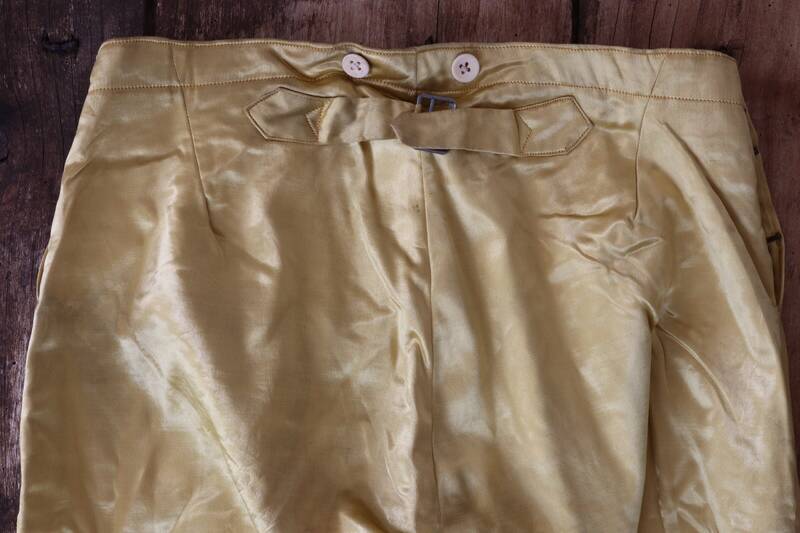 Leg opening at hem - 7"